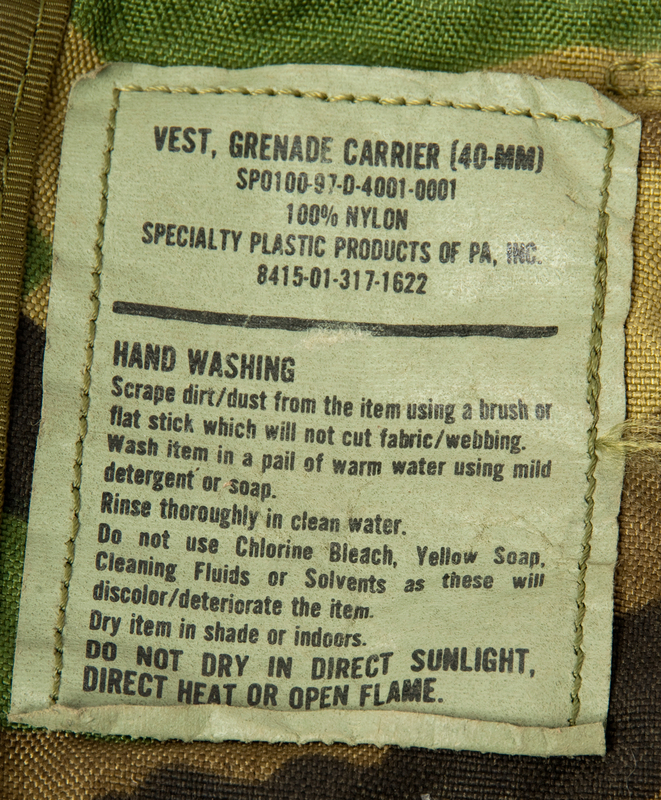 This is a low pressure munition. Unlike high pressure munitions, like a rifle, that need very strong chambers and barrels, low pressure munitions can use thin walled barrels. The heart of the system is the low pressure gas generator. These gas generators are also used for things like automobile air bags, life vest inflation, life raft inflation, bolt cutters, grappling hooks, radio antenna launching. This same system is used to launch mortars. AAI stands for Aircraft Armaments Incorporated. The origins of the 40 mm Grenade may be in explosive bolts used in Navy aircraft bomb racks. China Lake Naval Weapons Center (Wiki) worked on the 40mm pump action 40mm system around 1968 (China Lake Patents - Description) (Wiki). 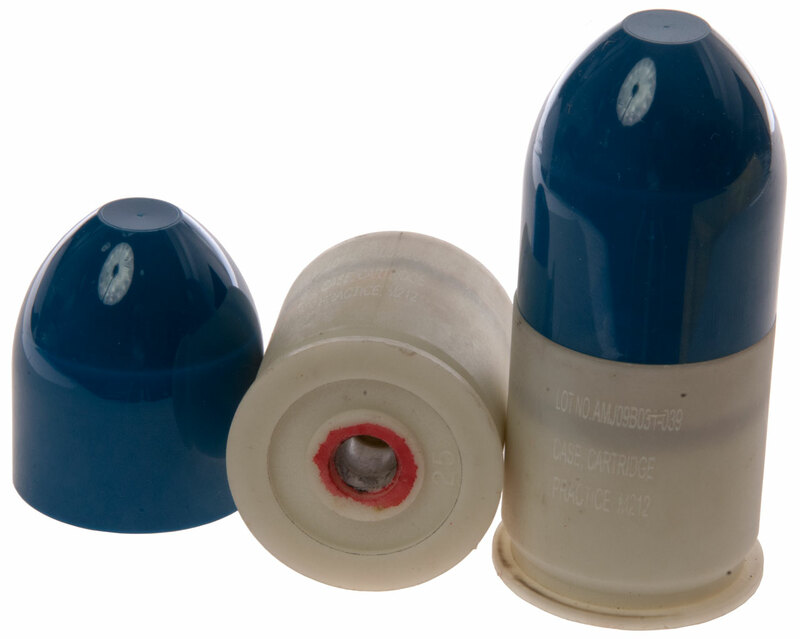 In the past I had a surplus flare gun that took some impossible to get cartridge so made up an adapter shell. It took a large pistol primer and fired a Ping Pong ball. Some padding was needed to keep from burning a hole in the ping pong ball, but then it would shoot the ball over the power lines. 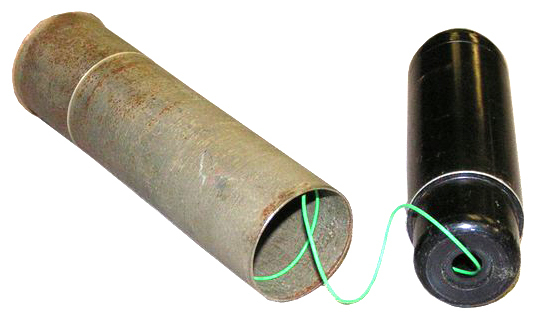 Based on this experience it may be possible to make a tennis ball launcher that could be used to put up wire antennas based on the high-low pressure system except using 22 rim fire blanks. Compressed gas driven tennis ball launchers. They require a way to get the compressed gas and are more bulky than a cartridge type device. Bow and Arrow suffers from the problem of doing severe damage when coming down. 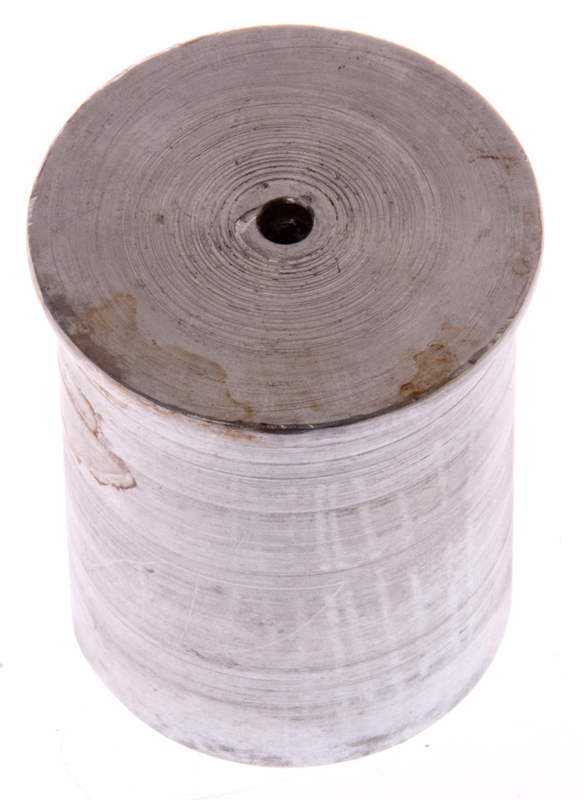 Sling Shot and lead weight - has limited height capability. I have 100+ feet tall pine trees and the sling shot at full extension can not get that high. The first generation 40 mm grenade used the very common 0.38" blank pistol cartridge mounted in the base of the 40 mm round. 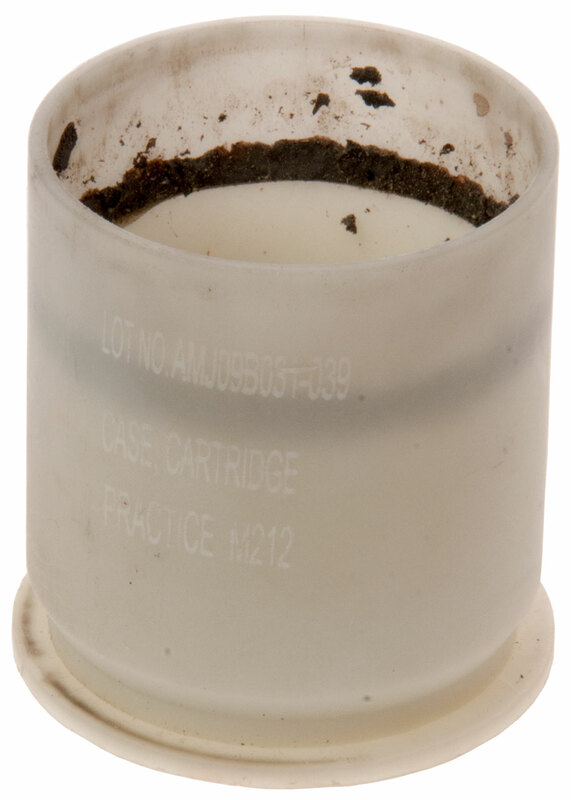 When the primer is fired gas is generated in the blank cartridge and the pressure builds up (30,000 psi) to the point where the brass case ruptures in places where the chamber in the 40 mm round has holes. The high pressure gas expands into an empty space lowering the pressure (3,000 psi) which pushes the round out the 40 mm rifled barrel. This is called the High-Low pressure system. 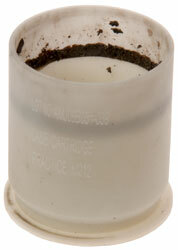 The high pressure is needed to properly burn the propellant that's commonly used in pistol rounds. In addition to the 40mm grenade launchers listed below there are the spigot-type STANAG type 22mm rifle grenades (Wiki). 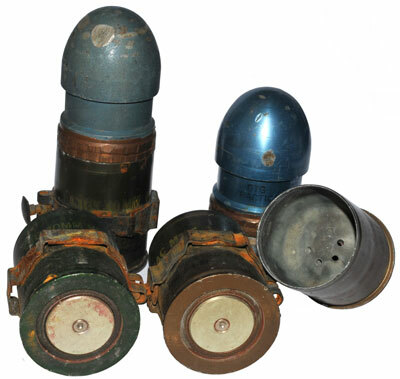 These are not 40mm, but rather just a different type of grenade. 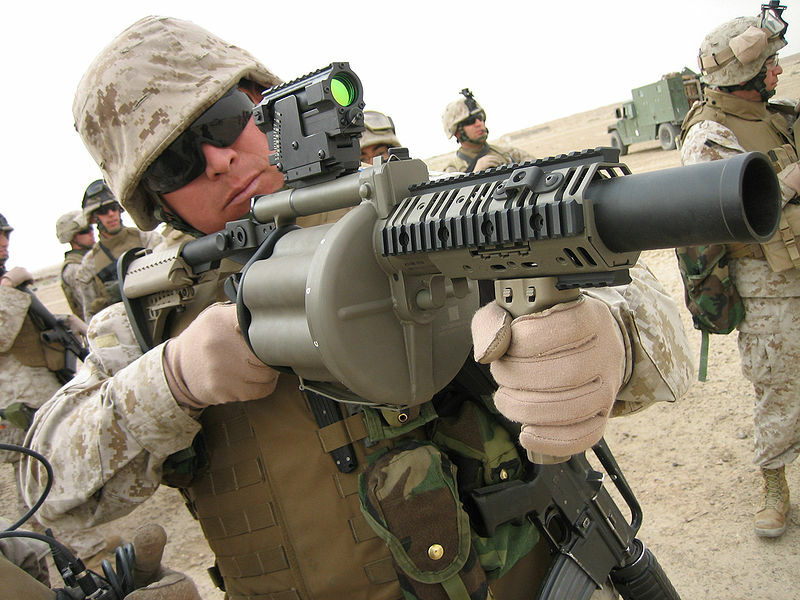 Most modern military rifles have a flash hider that's made to work with these rifle grenades (Wiki). 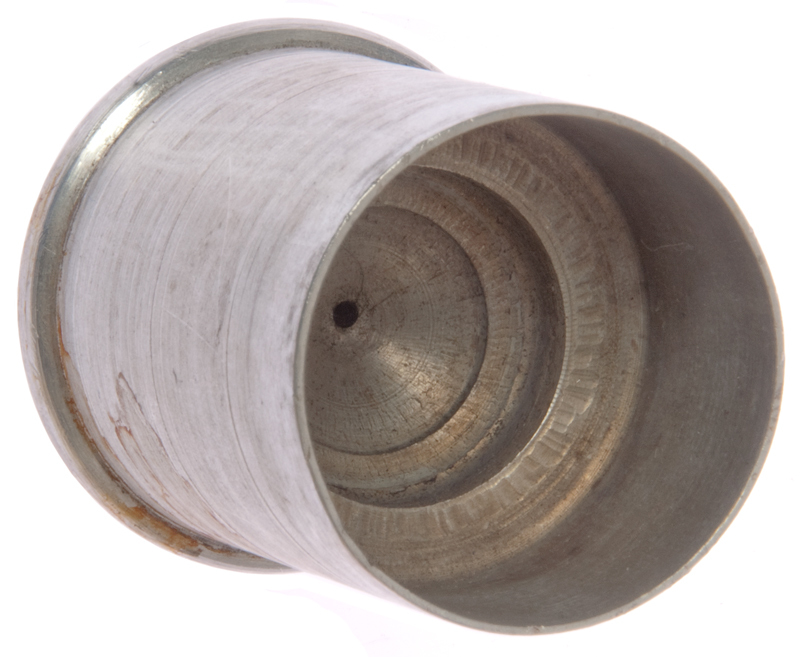 There are three types: those that require a blank cartridge, those with a hole all the way through so a regular round can be used, and those that trap a bullet. Named after Edward Wilson Very (Wiki) there are two spellings Wiki shows Verey, the patent shows Very. His cartridge looks similar to a shotgun except there's a couple of pyrotechnic balls that ignite as soon as the cartridge is fired and so, like a tracer round, there's light from the muzzle until burnout after reaching maximum altitude. He patented the signal cartridge (not a pistol) which came to be called the Very Light. Signal Cartridges were intended to be used like Signal Flags (Wiki) or Morse Code (Wiki) and Aldis lights 1867 (Wiki), that's to send a message. In 1846 Henry J Rogers (short bio at: Famous Americans -Mr. Rogers published (visual signaling codes for daytime use?). with Walter P. Larkins. edited "Rogers's Commercial Code of Signals for all Nations" (1859). In 1859 the Coston colored fires were being used. An example is in Season 7, Episode 1, Murdoch Ahoy, of the Murdoch Mystery series near the end as a ship is going down. You see two red balls of light arching up and then down. The Telegraph - Weapons invented in the heat of the conflict - Flare Pistol - Geophone - they got the flare pistol wrong, it was not invented for illumination or attention getting but instead for sending signals using 1 to 3 red or white shooting stars. 23536 System of Pyrotechnic Night Signals, B.F. Coston, Apr 5, 1859, 102/345; 102/360; 200/81.5 - boxes with red, white & blue fires. 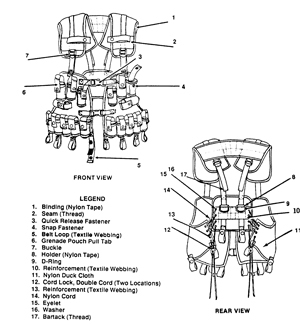 The prior patents set the stage for the Very patent below. 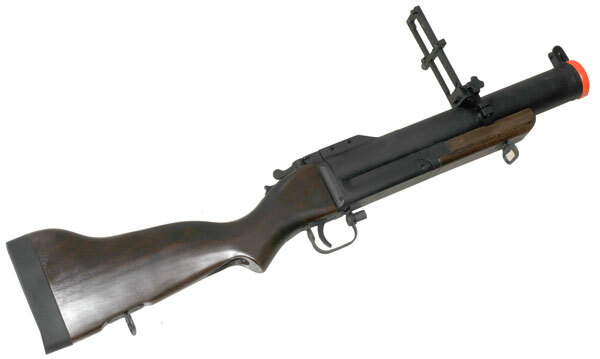 2097023 Firearm, Driggs Jr Louis L, Faber Henry B, Oct 26, 1937, 42/40, 102/340, 42/1.15 - removable barrel (part of flare) pistol. 2360168 Flare pistol, Glen R Severance, Frederick K Comiskey, Hilten E Jones, Eureka Vacuum Cleaner Co, Oct 10, 1944, 42/46, 42/1.15 - AN-M8 shoots British AND American flares. 3168788 Signal Pistol, Feb 9, 1965, 42/1.15, 42/69.1, 42/41 - cheap to make uses pins & coil springs rather than conventional shaped trigger, sear, &Etc. Can fire both flanged "American" shells as well as grooved "British" shells. This is different from the XM25 7.62x51 NATO sniper rifle. 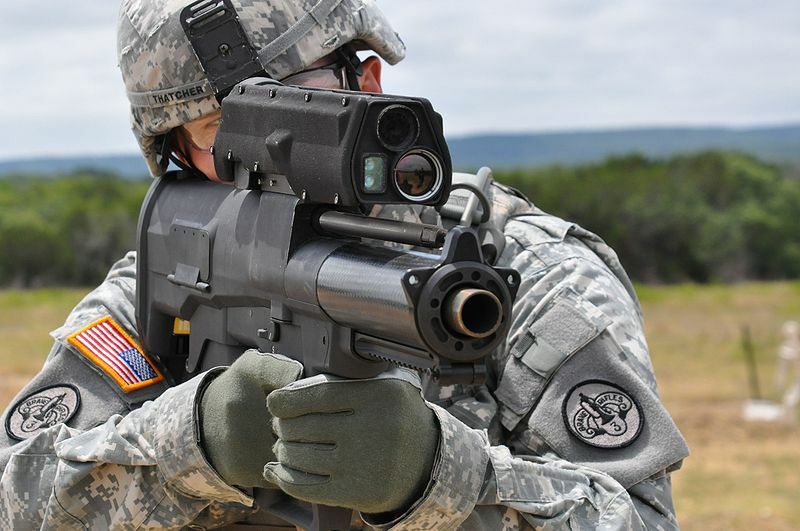 The XM-25 fires a 25mm round and utilities a lot of electronics and optical systems. 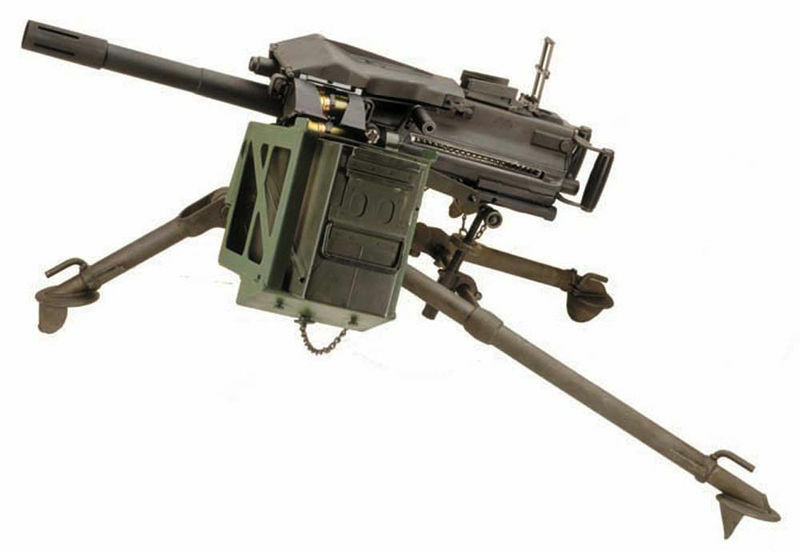 I wonder if the XM-25 uses a similar low pressure propulsion system? This may or may not become a fielded weapon. Wiki - Fires the 25mm smart round like the XM-25 above. Intended to replace the MK 19 40mm (see below) and the 0.50 HB heavy machine gun. Wiki - says named the M79 in Dec. 1960, but the development was earlier. Note 14-1/2" barrel vs. the M203 (Wiki) with a 12" barrel, so the M79 has slightly longer range. Got this after seeing the H4855U radio that looks real in almost all aspects. 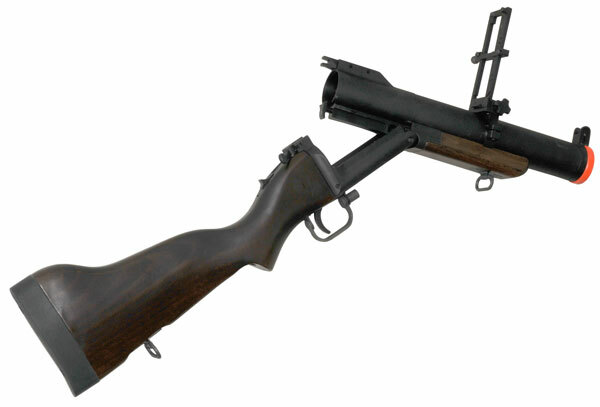 And this appears just like I would imagine a real M79 looks. Parts may even interchange. 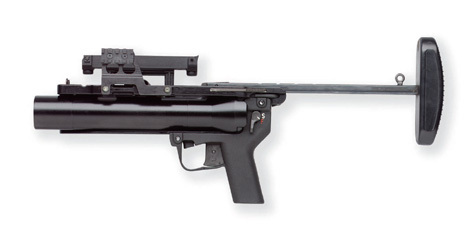 Air Soft M79 40 mm gernade launcher. 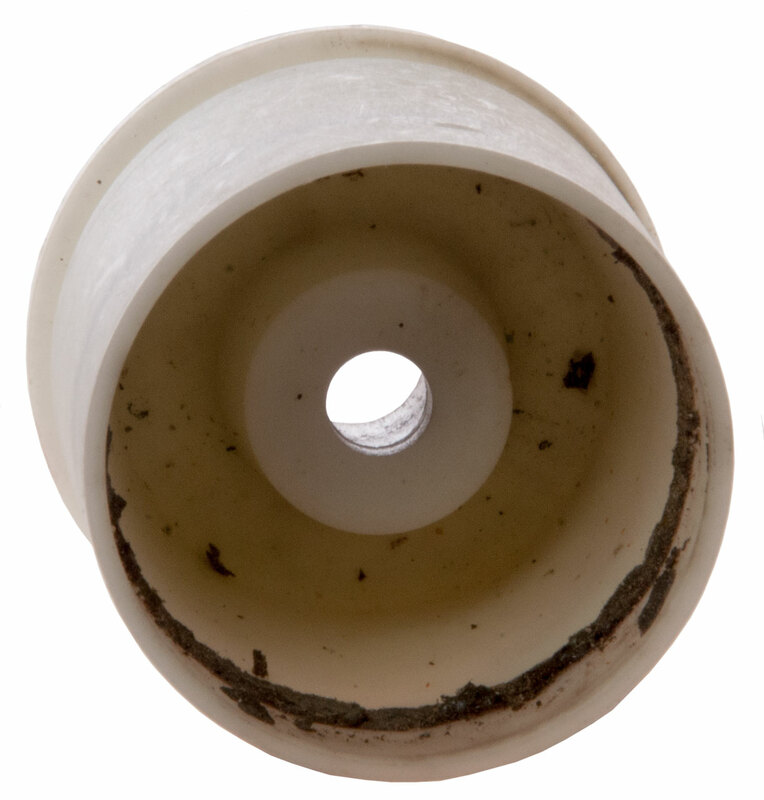 Tip is the inlet valve to pressurize the round. 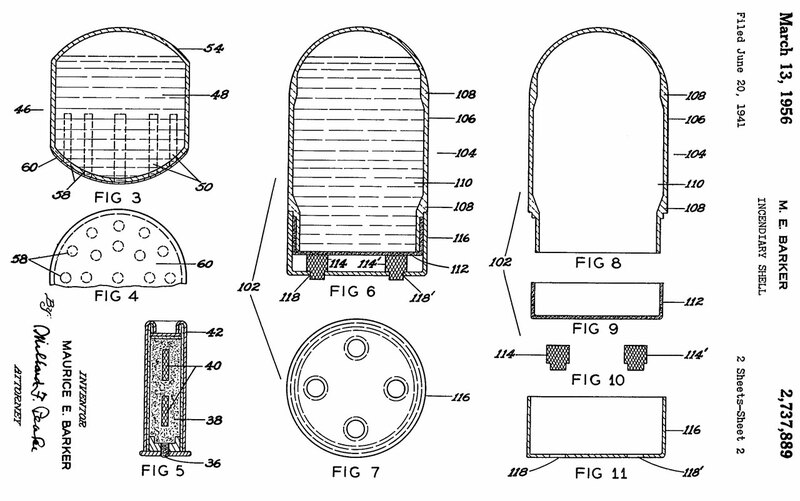 2968870 Sighting device for rifle grenades and the like, William Brandt Edgar, Energa, Jan 24, 1961 - for use on rifle grenades, not 40mm. 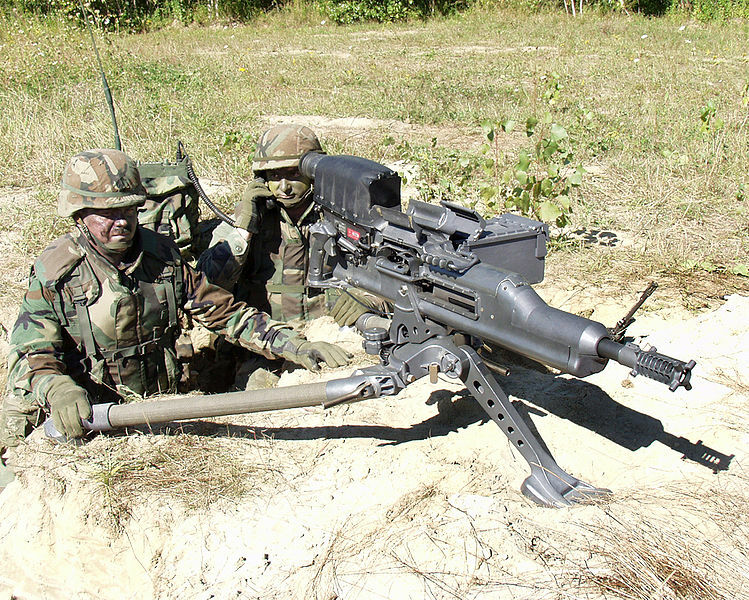 M32 Multiple Grenade Launcher (MGL) "Six Pack Attack"
In this photo you can see the use of the rail mounting system on four sides of the forearm. 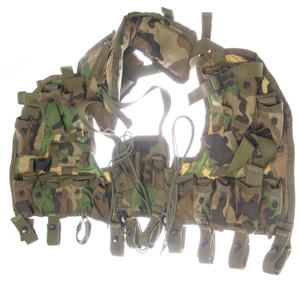 Although first used just for mounting scopes it's now used as a general purpose mounting system. This is an 12 gauge shotgun that mounts like the M203. Replacing the M500 (Wiki) shotgun. Because it's length is too short to qualify as a shotgun I doubt it can be sold in a civilian version. Although it might be classified as a shotgun pistol. There's a question about what ammo fits what. For example the practice ammo for the Mk19 & M79 shown below does not fit the AN-M8 flare pistol. I have a Webly & Scott 1.5" (40mm) flare pistol on the way to help resolve this. The AN/M8 Flare Pistol will not chamber 40mm grenade rounds. 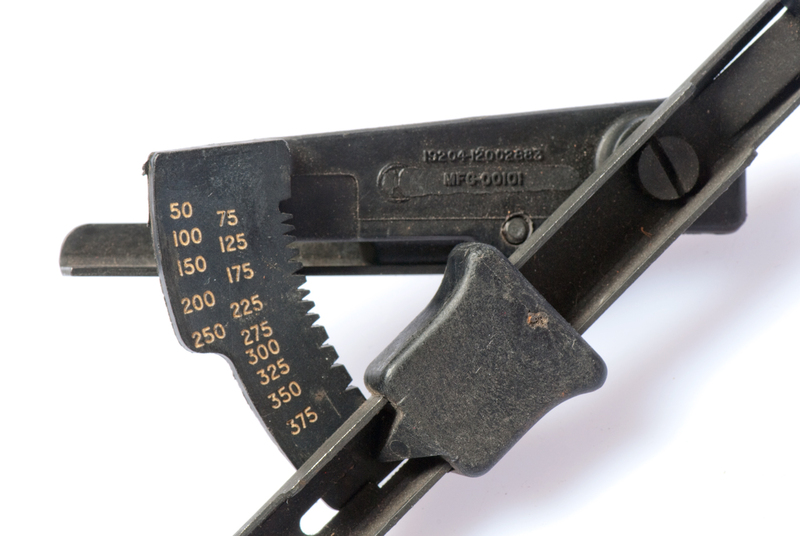 or just a pistol/rifle primer? These are for the Mk 19, not the M79/M203. The M118/M195 case appears to use the .38 blank. 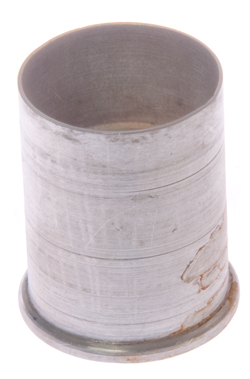 Fig 2 hollow nose cones. a .38 blank so show size. While traveling in Canada many decades ago picked up a ships port or starboard kerosene lantern and a flare pistol from a maritime surplus store. The flare pistol was old pitted metal with handmade wooden grips. The flare was a standard 40mm size. For fun a friend made an adapter to allow shooting a ping pong ball by making the bore of the adapter 1.48" I.D. 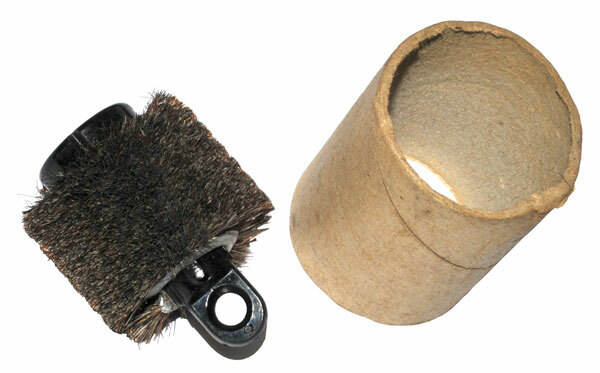 (37.6mm) (Wiki: Ping Pong ball 40mm) Propulsion by means of a small rifle/pistol primer (external web page with dimensions) (no powder) with a pocket diameter near 0.175" I.D. The main body diameter is about 39.8mm, but at the time I didn't know about 40mm grenades and so just made the OD to fit the flare gun. If the ping pong ball is used by itself the primer may blow a hole into it, so a few disks of cardboard are needed as packing/wadding below the ping pong ball. It will shoot the ball over the top of power lines never to be seen again. 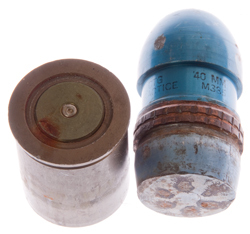 This was a Vietnam era round probably used by the special forces in conjunction with the GRC-109 to put a wire antenna up in the tree canopy. 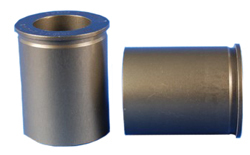 Establishment of Production Line for Manufacture of 40mm M169 Cartridge Case, Andrew Vargo, Amron Corp.
3106131 Cartridge Actuated Device, I.R. 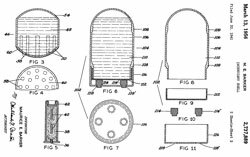 Barr & N.J.La Costa (AAI), Oct 8 1963, - The propellant is contained in an expandable metal case that's sealed so no gas escapes. moves piston a fixed distance. 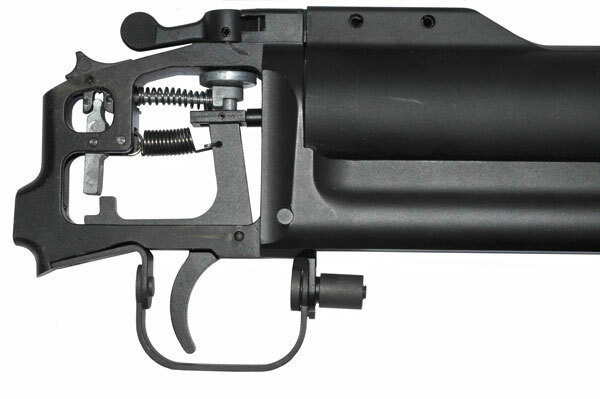 3507067 Grenade launcher having a rotatable forwardly sliding barrel and removable firing mechanism, Into Henry A, Colt S Inc, Apr 21, 1970, 42/10, 42/69.1, 42/70.1, 89/14.5, 42/106 - M203? 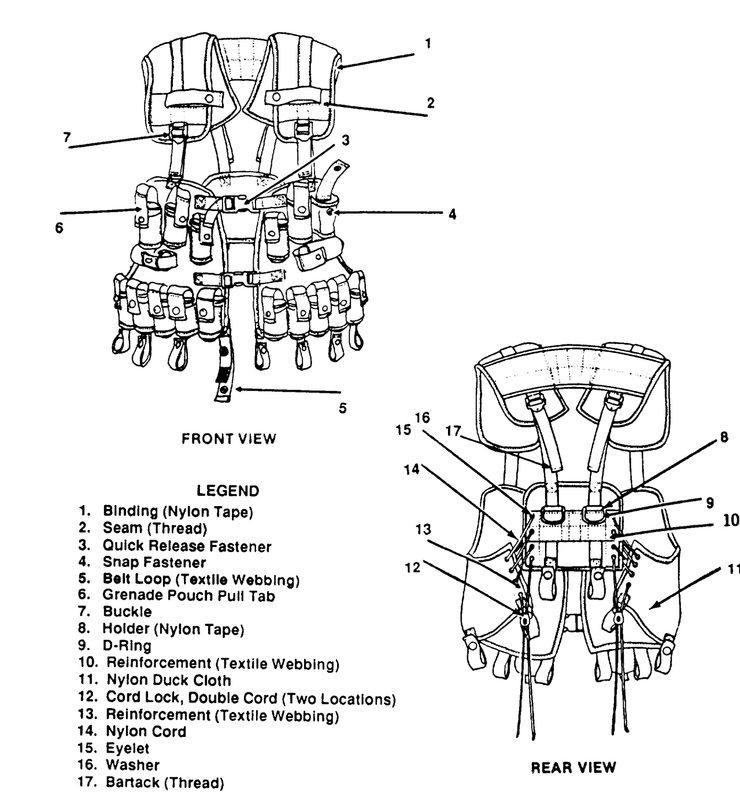 Packaged unit for operating valves, cutting and splicing cable, actuating linkages, propelling masses, disconnecting components, initiating sequential operations, etc. looks like aircraft bomb rack? 3408761 Ammunition Launcher Firing Mechanism with Breech Closure means, Stanley D. Silsby (US Army), Nov 5 1968 - filed Jun 13, 1961, M203? 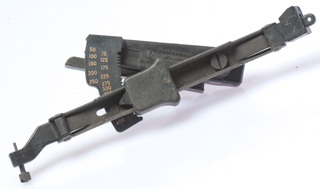 3421242 Firearm Ejector, Stanley D. Silsby (US Army), Jan 14 1969, 42/25 ; 42/105 - filed May 23 1961 - M203? telescoping chamber holds all combustion gas and flash inside the round so there's no muzzle flash and no explosive noise. 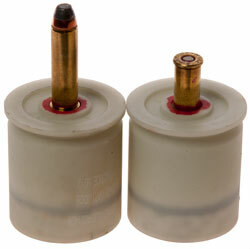 Cartridge case contains short rifled barrel. 3771451 Low Pressure Ballistic System, W.B. Woodring (Olin), Nov 1973 - slow burning propellant. 10643205 Method and apparatus for performing reconnaissance, intelligence-gathering, and Surveillance over a Zone, P. Rayond, V. Wegner & W. Knorr - hand launched from tube. US 2006/0283345 A1Surveillance projectile, P.H. Feldman, M.J. Ray, J.F. McNutly, filed Jun 16 2005 - 40 mm round fired into building with: IR light source, Audio Tx, Video Tx, etc. Switch turns on unit when it leaves barrel. 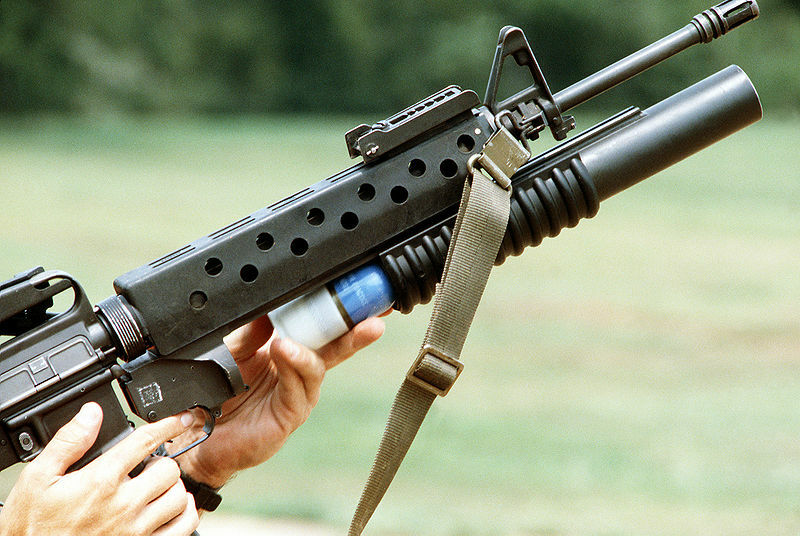 Forgotten Weapons: Vietnam Mk18 Mod0 Hand-Crank Grenade Launcher - Used on Navy patrol boats (Wiki: PBR, PCF, SOC), maybe 250 yard range. 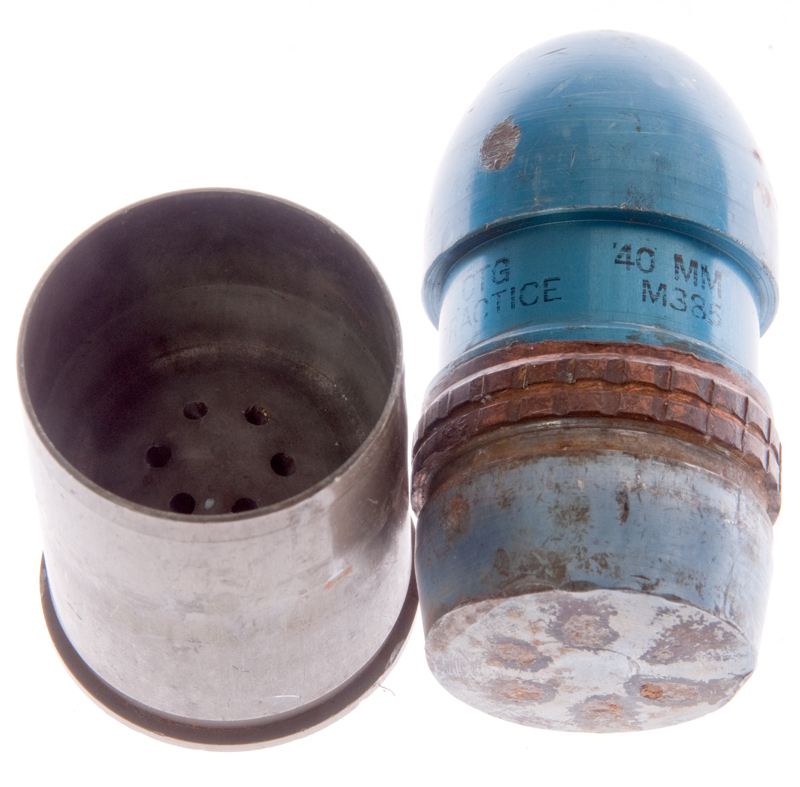 Uses 40x46 low pressure 40mm rounds same as the M79, not the newer 40x53mm high pressure rounds like used on the Mk 19. From Owen St. Hilaire: " This gun would have to be hand cranked because there would not be enough recoil force or gas pressure to make an automatic action function.﻿"
3431820 Grenade launcher, Chinn George M, Schnatter William P, Watson Henry F, Us Navy, Filed:Mar 13, 1968, Pub: Mar 11, 1969, 89/161, 89/33.3, 42/105, 89/148 - This is a full auto version of the Mk 18 hand cranked version. 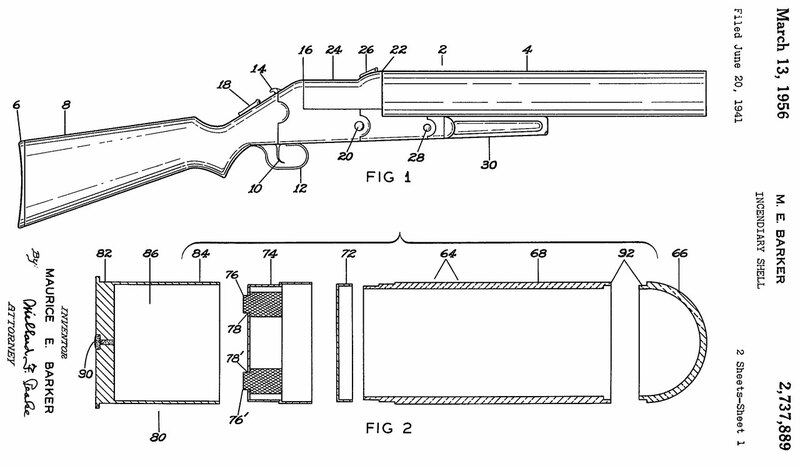 China Lake Patents: 40mm grenade pump action, Sidewinder, VT Fuse, &Etc.